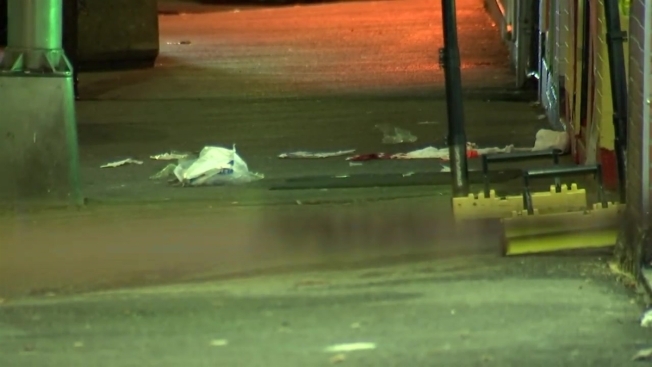 Police are investigating a shooting in Lowell, Massachusetts. A man appeared in Lowell District Court Thursday and was ordered held without bail for allegedly shooting another man. Jose Aponte, 40, of Lowell, Massachusetts turned himself in Wednesday afternoon after he was charged with armed assault with intent to murder and armed robbery. According to police, they responded to the area of 698-702 Merrimack Street for a report of shots fired at about 7 p.m. Tuesday. Upon arrival, officers found a 35-year-old Lowell man suffering from gunshot wounds to his abdominal area. The victim was transported to an area hospital for treatment and then transported via ambulance to a Boston area hospital, police said. Police then began an investigation into the incident. They reviewed eye witness accounts and video footage and concluded that Aponte confronted the victim in the alley of 698-702 Merrimack Street with the intention of robbing him of money. He also shot the victim several times during the commission of the crime, police said. Aponte was ordered held without bail pending a dangerousness hearing scheduled for Sept. 27. The victim remains hospitalized but his condition is unknown.